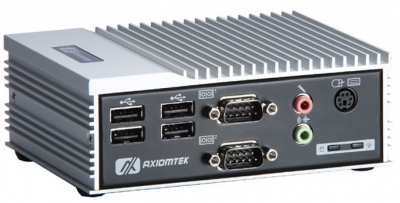 The eBOX530-820-FL1.6G is an incredibly small (Size 130x95x47mm) embedded system based on an ultra low power CPU Intel® Atom™ Z530, with the Intel® System Controller Hub (SCH) US15W. The integrated Intel® Graphics Media Accelerator 500 offers advanced graphics and 3D performance. The fanless, eBOX530-820-FL1.6G is an ideal for many embedded market segments such as portable POS, Car PC, medical healthcare, entry-level gaming, and in-flight infotainment.